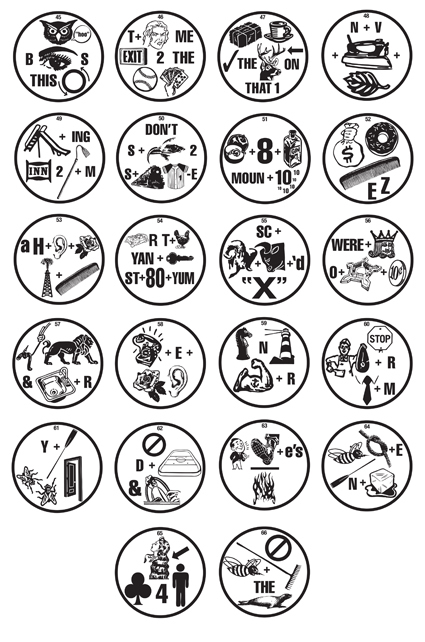 A rebus is a phrase that uses pictures, symbols, letters and/or numbers in place of words. So, the word "hear" would be seen as the letter H followed by an ear. It's a puzzle in which one must decode a message consisting of pictures representing syllables and words. At Last! A chance to see the only publication ever written devoted entirely to rebuses. These were scanned from the original printer’s sheets of this publication written from 1992 -1995. Now you can read them from your computer, ipad, Nook, Kindle, or any internet device. This is the only publication ever written totally devoted to rebus puzzles. Each issue is up to 30 pages long, and contains liner notes. Every order comes with a free welcome orientation letter! The word zine is short for magazine. This is what we call a non glossy, small press magazine. The Rebus Quarterly is a zine. Play piano? Visit my piano site . Click above to read my articles!